January – This is an excellent month for your career, but not so good on a personal level. You may be feeling rather drained by events that have snowballed on the domestic front. The responsibilities will sit squarely on your shoulders and you will have to deal with things. No one else seems to be coming forward to help out, so this means you will be in rather a black mood. February -You may feel a bit crabby this month…and not want to socialise much. Things will turn around completely around mid-month when you will be ready for romance. You might even apply for a new job or go on a blind date and you will be a completely charming companion for the evening. If a second date follows, don’t spoil things by going back to being crabby. March -This month may be a good one to take some time out of your usual routines. If one of your neighbours has been annoying you, try not to get too deeply involved in any disputes. Things could turn nasty very quickly and you may not come out as well as you might suppose. By the end of this month, you will be making excellent progress in your work and feel satisfied on a domestic as well as a professional level. April – Your work will preoccupy you for most of this month. Friends and family may despair of your lack of time to spend with them. On the home front, an elderly relative may cause you some concern. You might not want to think about residential nursing care, but there may not be many options left. Don’t feel you have to take the blame for events that are clearly out of your control. May -You will be highly organised in work this month and others will follow your lead. You may be asked to set up your own consultancy. This might not be such a bad thing. There could be an older person whose attention is on you. This could be a lovely relationship for you on a professional level. Both of you will benefit from the other’s knowledge and wisdom. June – Cancer monthly horoscope 2019 studies reveal this is an excellent month to spend time with your friends and family. Lady Luck will smile on you, both in your personal life and in your professional life. You can expect some advancement in your career. There could also be large bonuses coming your way. You will be happy. 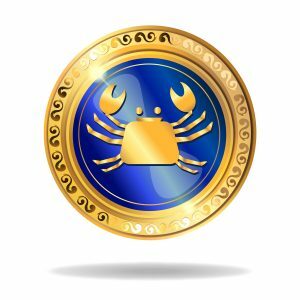 July – This will be a lovely month for Crab people where you will be bright and happy for a change. People will be drawn to you for your wit and high spirits. Make the most of your good fortune. Try to stay positive and upbeat for longer than usual. Your friends can’t always understand your moodiness. Maybe this is why you feel that no one really understands you. August – You may feel a bit unsettled this month and want to change things around. Having a hew hairstyle might not be enough. You may feel inclined to buy some new clothes to look different. An older person could become very important to you. You may be drawn to an older teacher or lawyer. You will put this person on a pedestal, even though they may not realise it. Try not to get too withdrawn around people of your own age. They matter as well. September – This could be a good month for achieving things. If you have set yourself goals, this month will be the turning point when you can look back and be proud. Others will be proud too. Don’t be afraid to let others into your private world. You have a lot of friends who think very highly of you. You may need calming down towards the end of the month. Make sure you are getting enough sleep. Stress is caused by irregular working hours and by people pushing themselves too hard. October – You may feel overburdened at work. It’s true you have shouldered a great deal and taken on more responsibilities than anyone else. If you are feeling taken for granted maybe now is the time to speak out. You could be involved in arguments and minor disputes if you are less communicative. Open up a bit more and you may be surprised by people’s reactions. November – Signs from the Cancer monthly horoscope 2019 charts show this is a lovely time for family parties and get-togethers. You will feel that you are genuinely loved and this will make you warm inside. People sometimes don’t know how to take you, but this month there will be no doubt that you are important and a very precious member of your family. Don’t be afraid to splash out and buy some gifts for people you value. It will show them how much you appreciate them. December – This month could be mixed for those born under the sign of Cancer. It will be full of highs and lows, ups and downs. There may be some incredible career opportunities coming your way, so make the most of your free holiday time. If work becomes all-consuming for you, it means others don’t know where they stand.be sure to spend some quality time with those that really matter, Cancer.